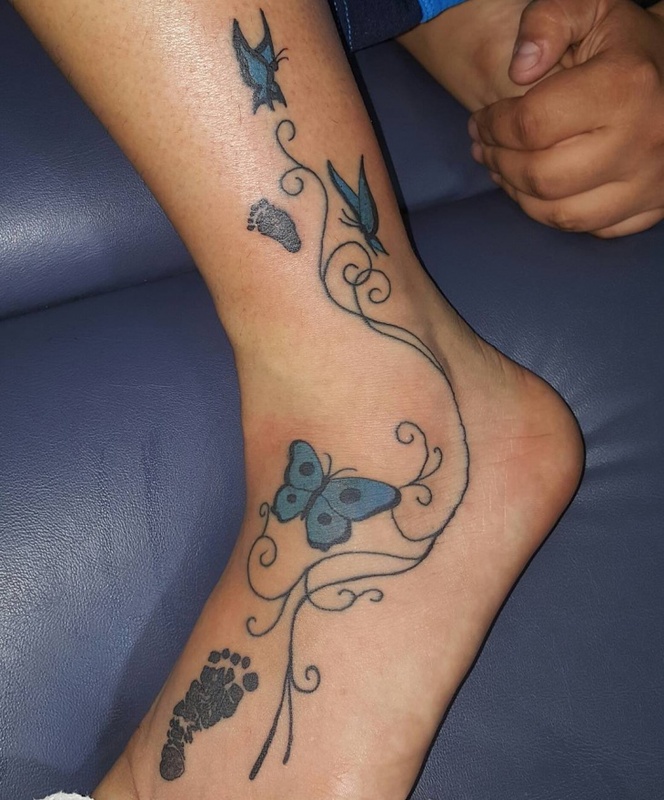 Do you wish to have a tattoo done or are you considering getting one? 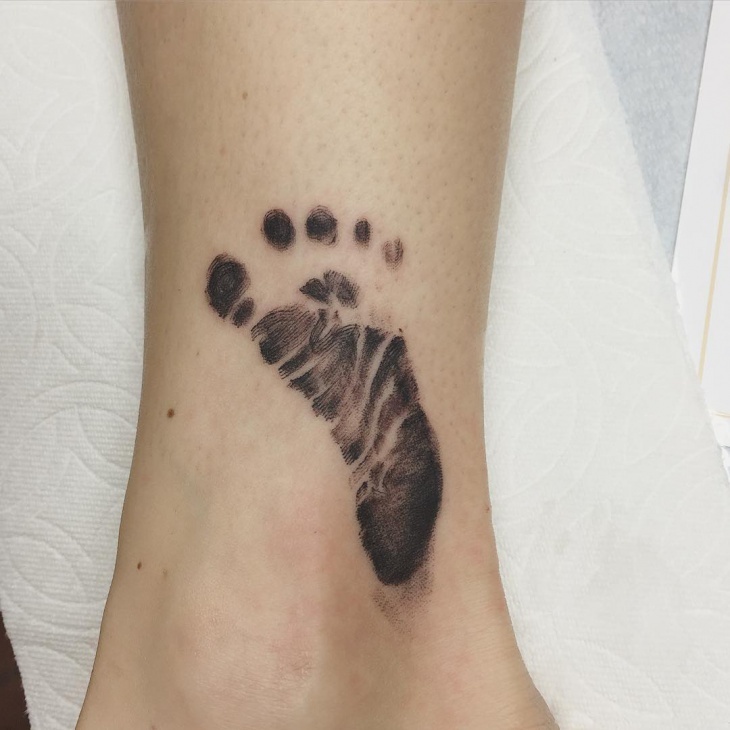 Then go with the foot print tattoo. 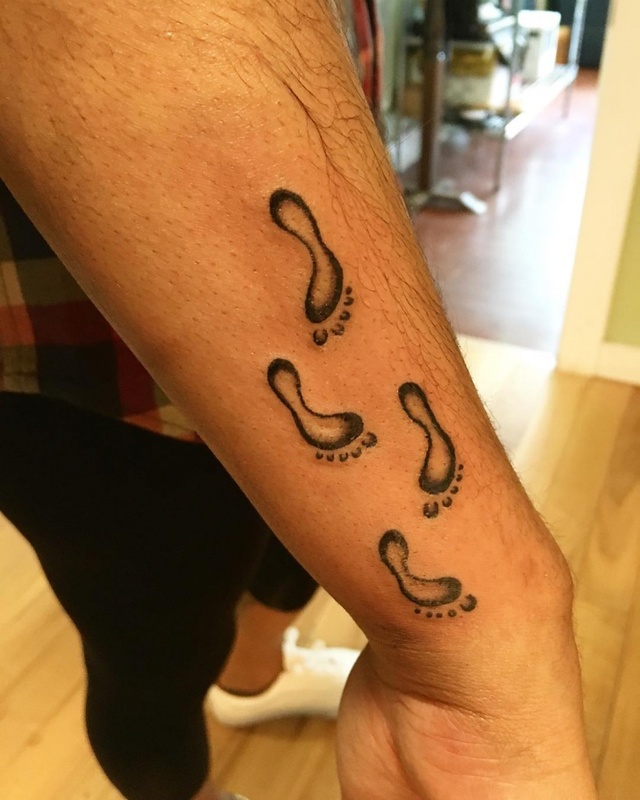 Footprint tattoos are among the most unique and special tattoos you can have expressly if you love to get inspired. 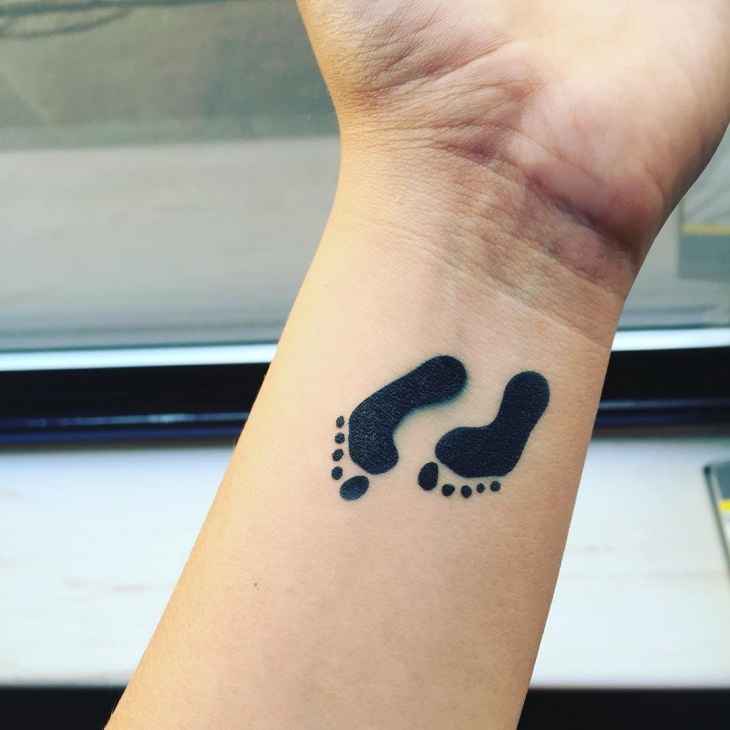 We have compiled few of the most amazing foot print tattoos for you have a look! 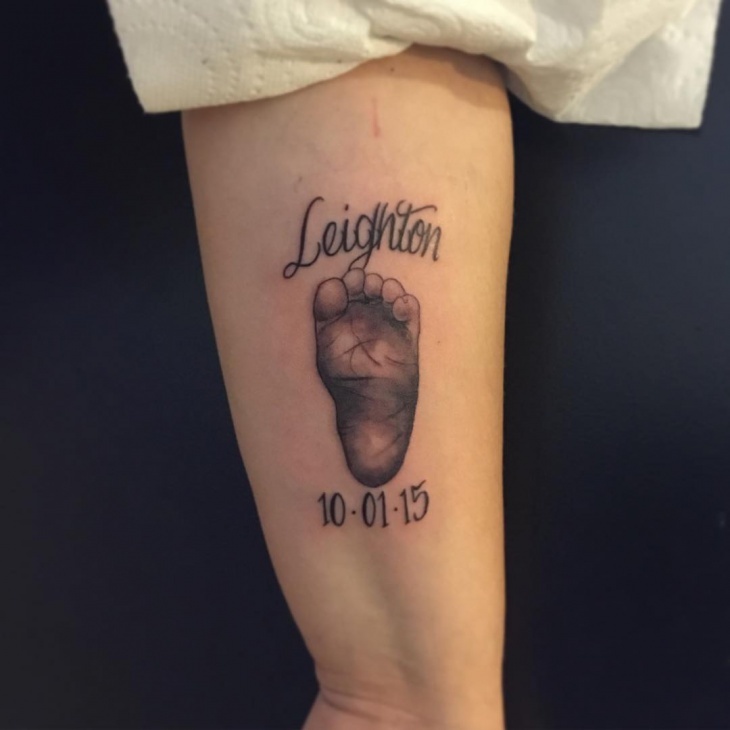 This tattoo outwardly contains the birth records of particular persons and is a sweet way of inscribing a date of sensitive meaning on your skin. You can work on the tattoo by experimenting with attractive colors this idea is best simulated in its accurate form. 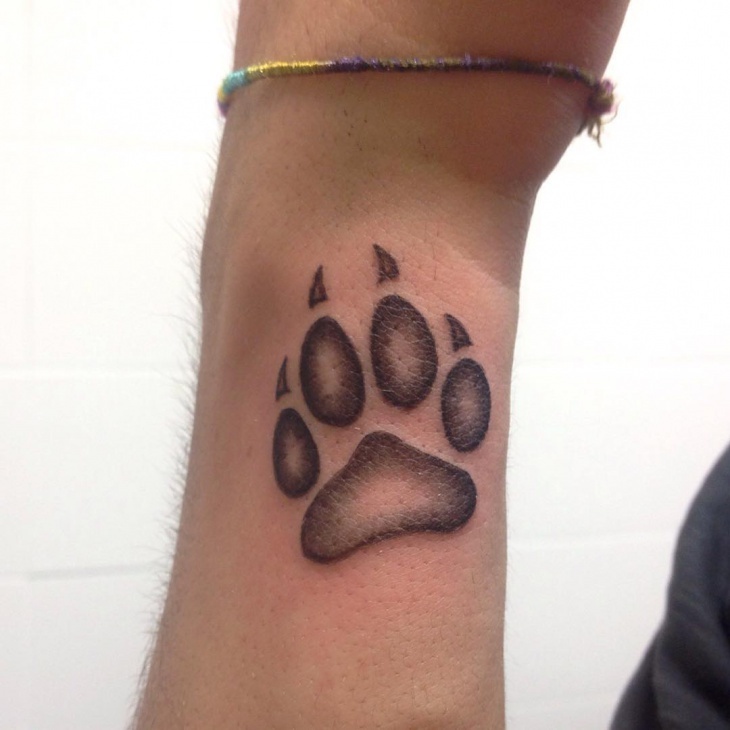 Paw print tattoos are the most popular tattoos that are going on in todays trend This is a plain wolf paw print tattoo engraved in black color. 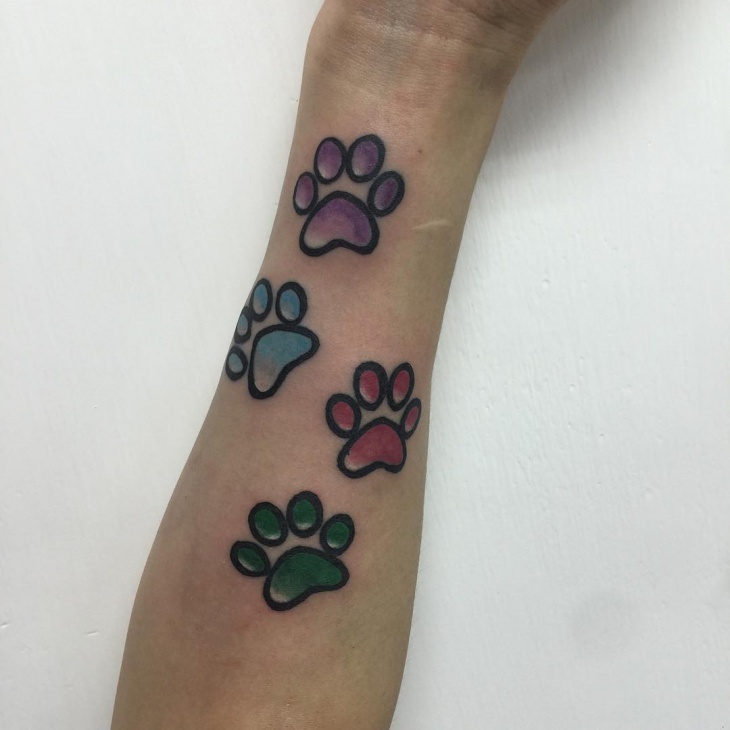 This tattoo is inked on the wrist which can be easily shown off. 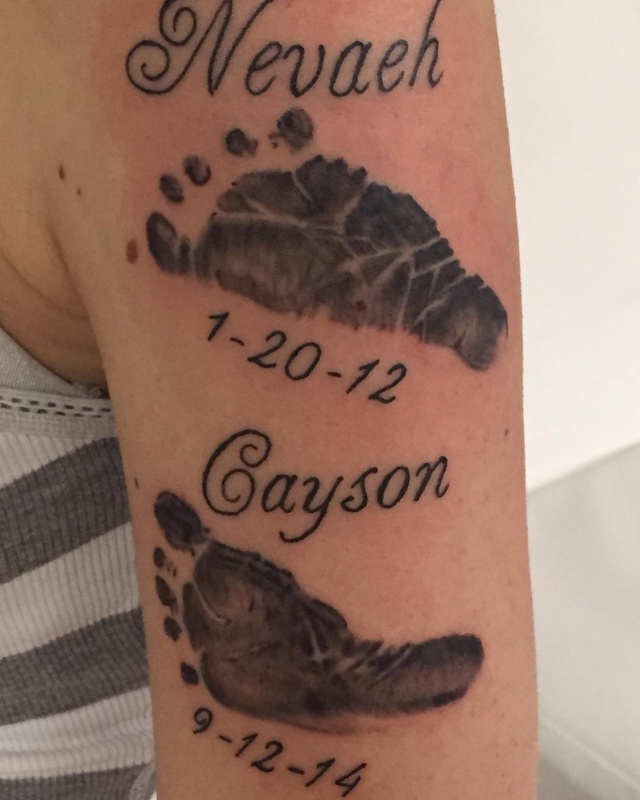 Quoted footprint tattoos are becoming quite trendy these days as they are so personal. Especially tattoo quotes for lovers can help to take the relationship to a permanent and higher level. 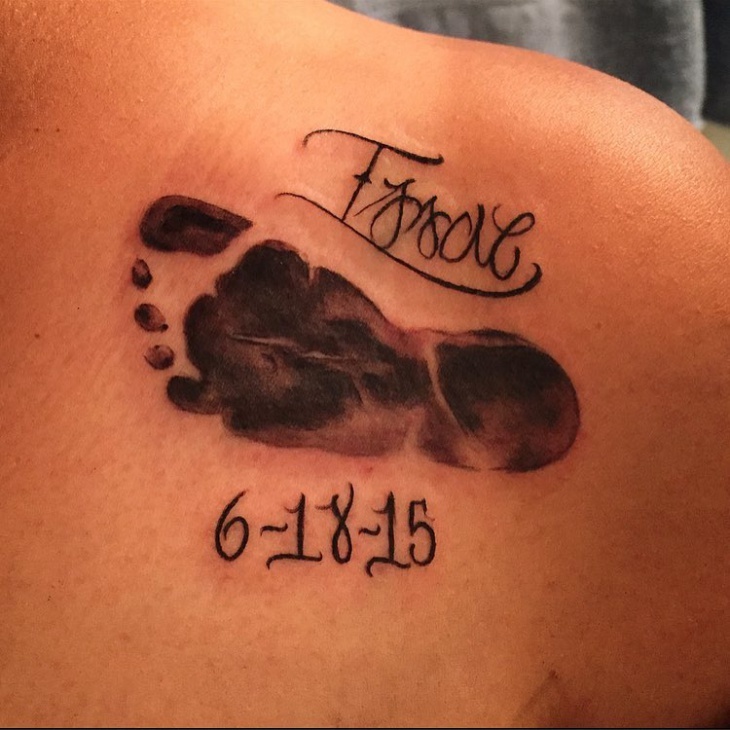 This meaningful footprint tattoo definitely signifies love for your partner. 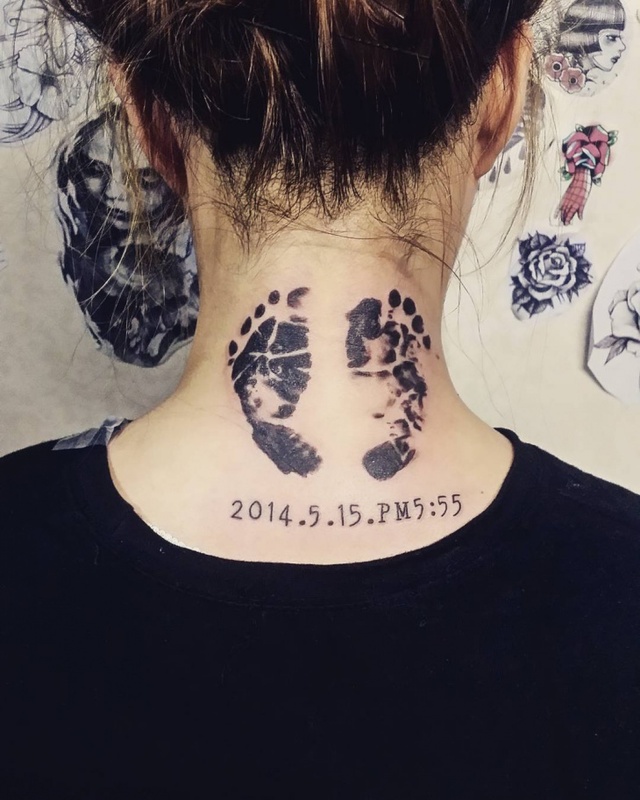 If you are thinking about the attractive footprint tattoo, then this can be the best one for you. The image represents a number of things depending on person to person. 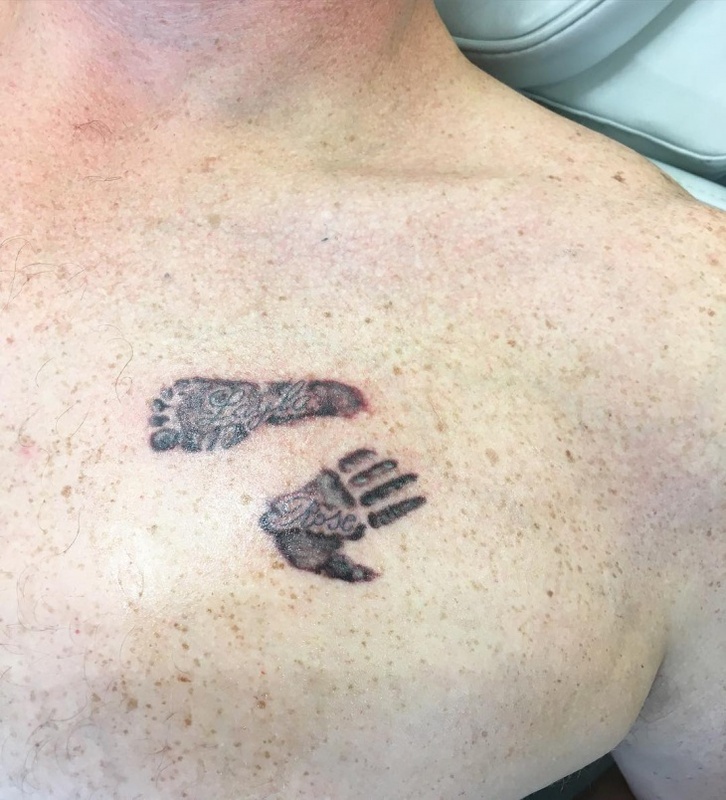 This type of tattoos is unique and wonderful to celebrate the joys and life of a person we respect and adore. Winged foot print tattoos defines that the person is passionate. It gives a feeling of comfort and glory. 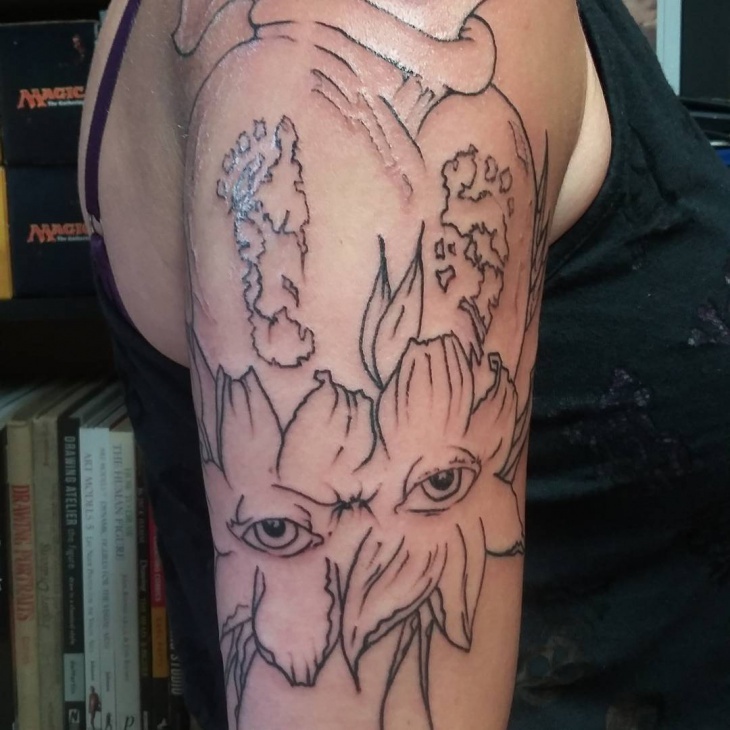 Inspire yourself by designing this unique tattoo flawlessly on the shoulders along with different hues and patterns. Realistic tattoos are among the most popular among both women and men. They are designs that can surely make up your fashion quotient. 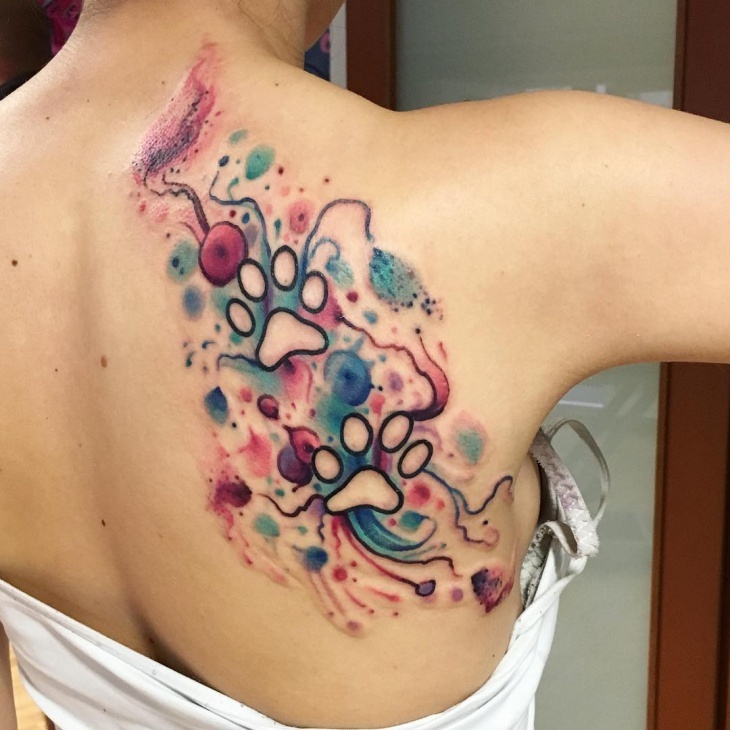 Vibrant colors are used in the tattoo to make it look realistic they are seen on skin everywhere. 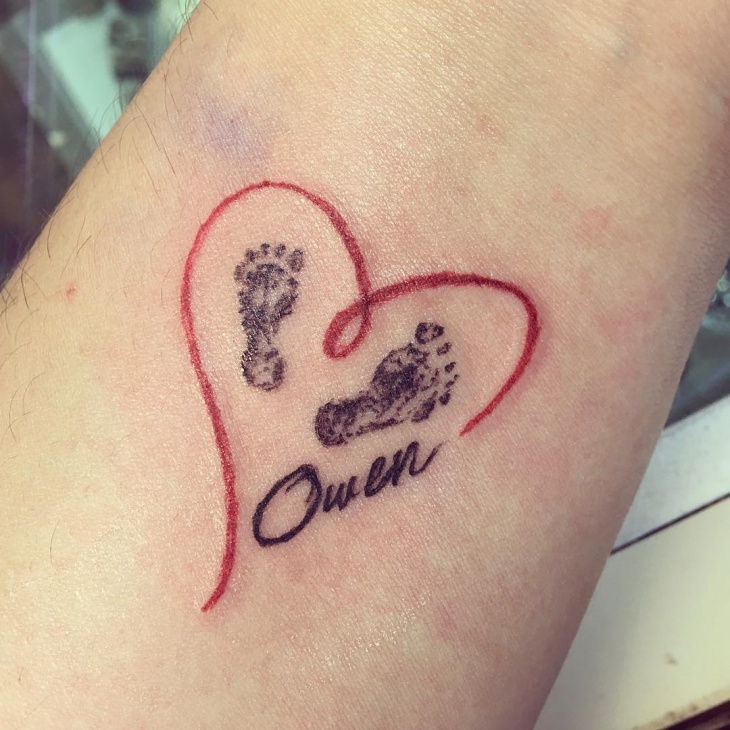 Showing your love for somebody is one of the best things anyone can do and if the same thing is done in the form of tattoo for your baby there can be nothing better. 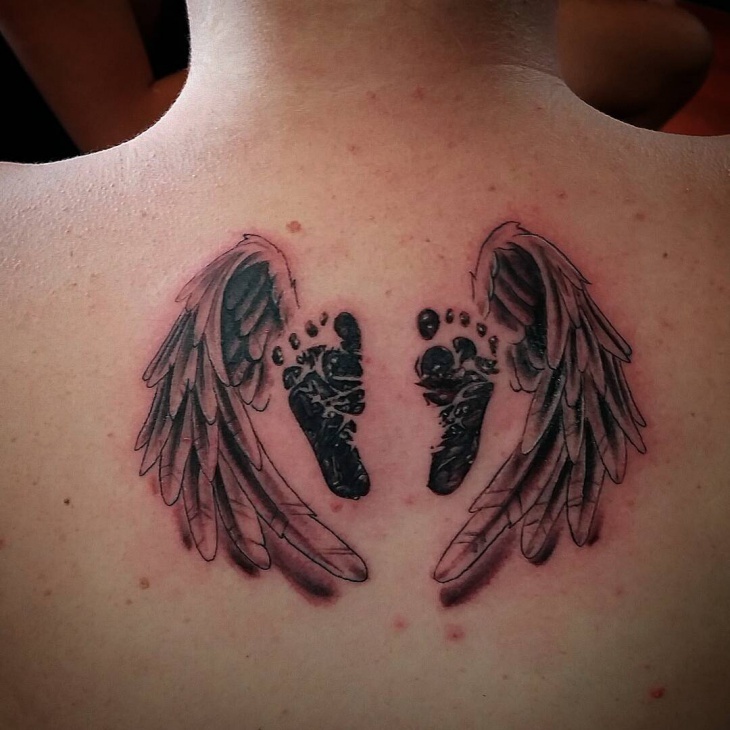 This baby footprint tattoo is created like the newborn’s footprints. 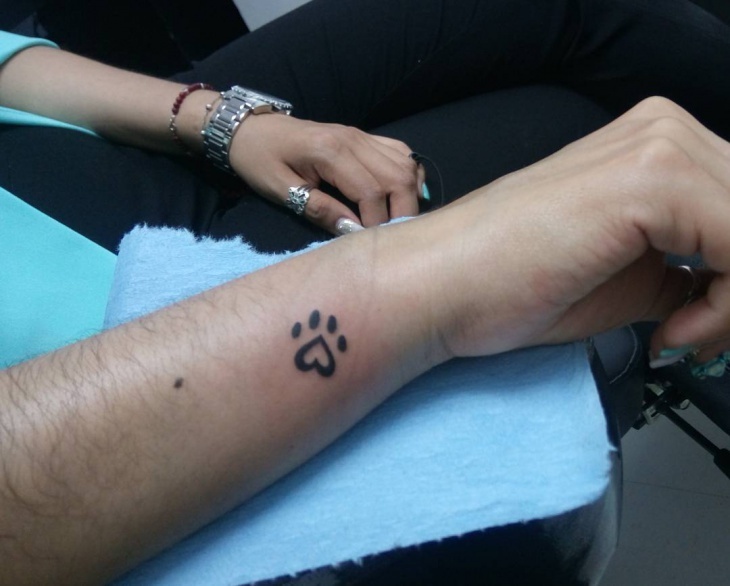 It’s a cute and simple design usually designed in black ink you can also go with colored one. 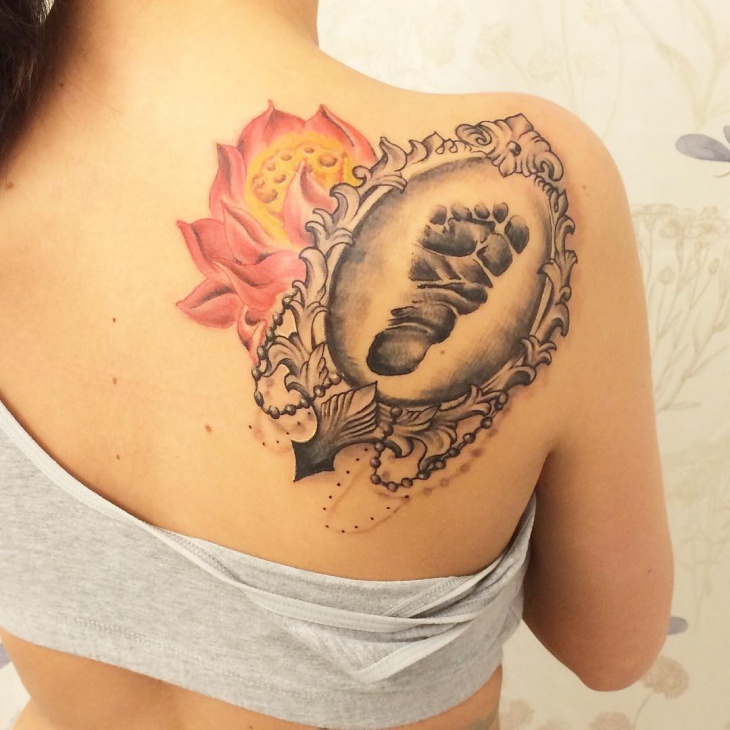 Memorial tattoo is the best way of worshipping someone you care for. 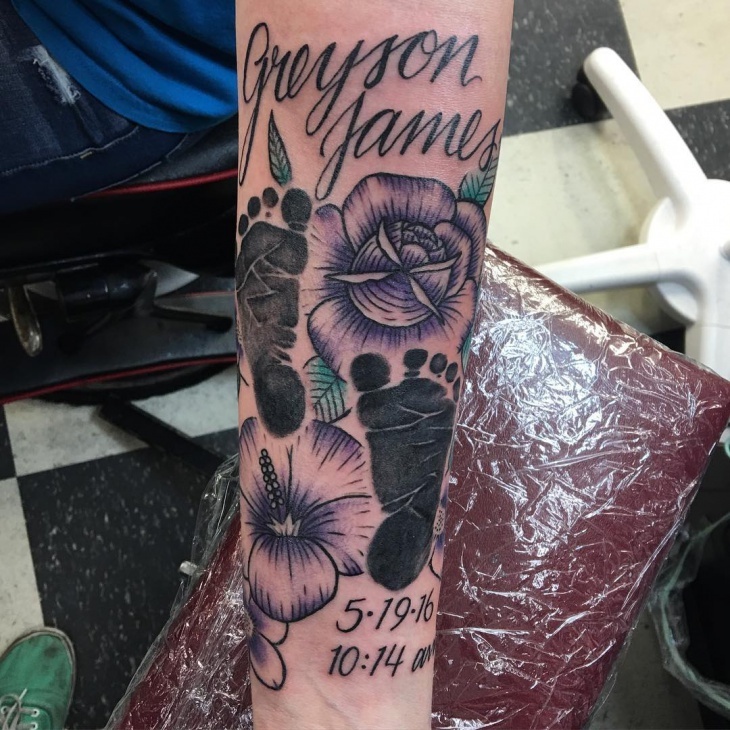 Most of the memorial tattoos are inked in gray and black shades, but they look all the more amazing when designed in color. 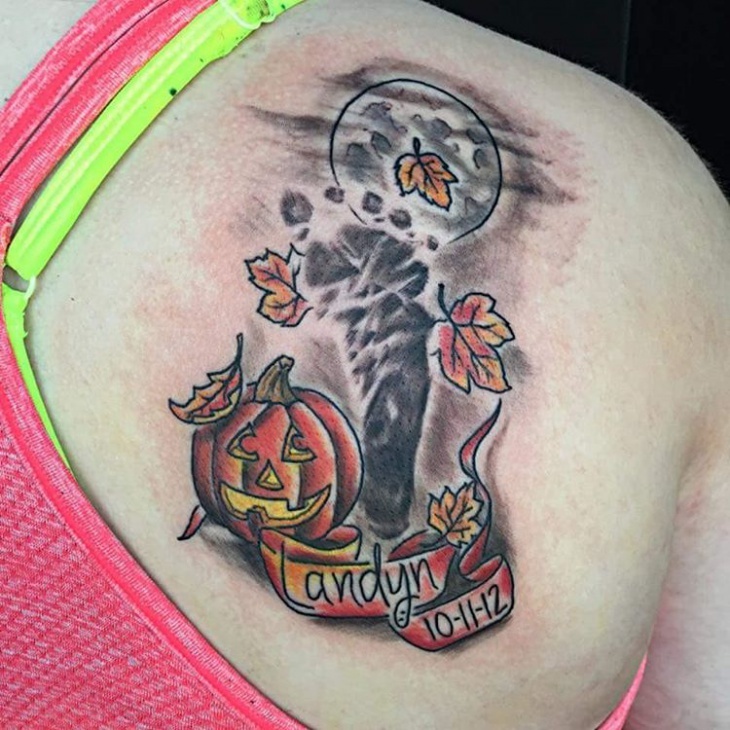 With the date and name this tattoo is a way of presenting that you’ll “never forget” the person. Neo traditions are developing as more and more styles come up nearly each day. Some of the prominent fashion in this new type of art is neon traditional footprint tattoos. 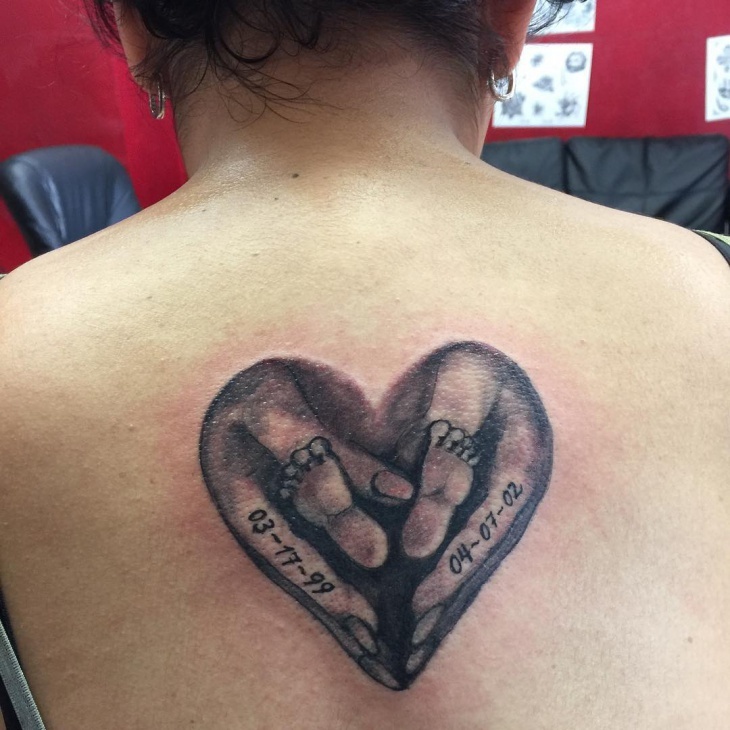 This image has got footprint of her son as well as a subject based on the day he was born. RIP tattoos make us remember our dear ones who have passed away. 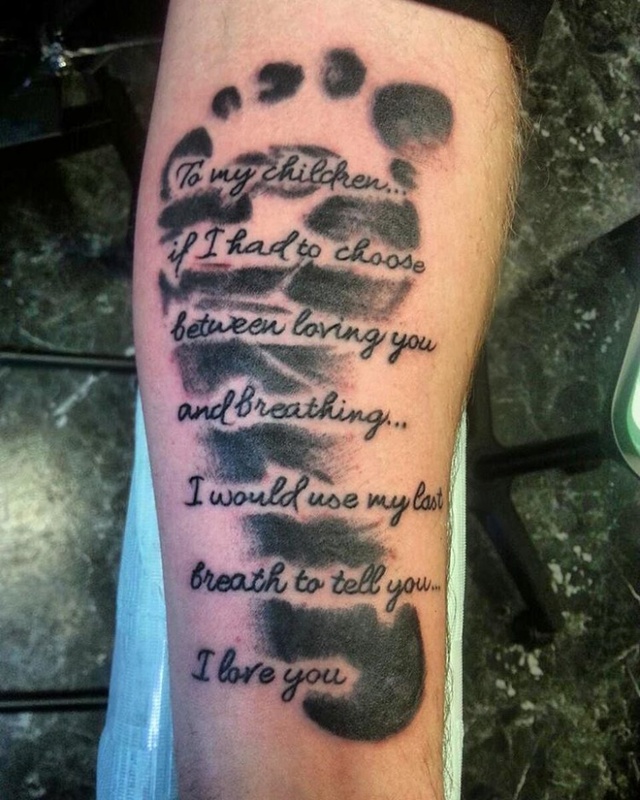 This footprint tattoo with an emotional message is a wonderful way of expressing your love for someone. You can also try designing a tribal or a symbol rip tattoo.